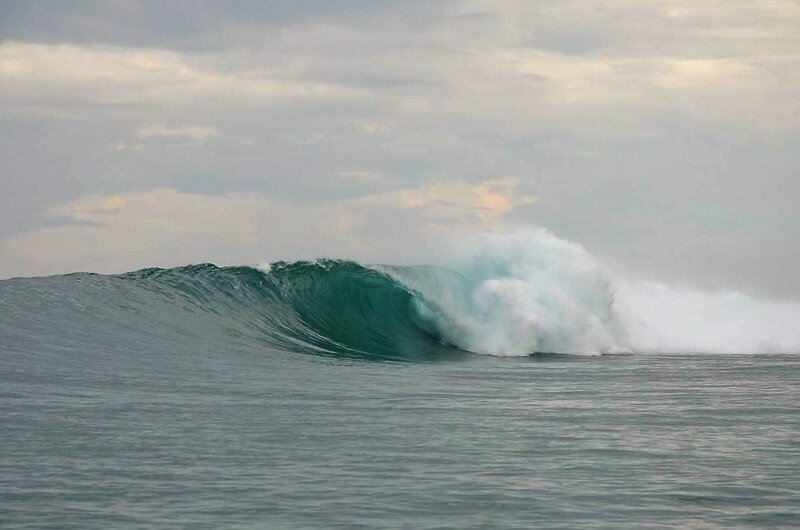 More and more surfers are looking beyond the traditional cornerstones of Indonesia and the Maldives in search of uncrowded waves. Located just to Australia’s north near the equator, Papua New Guinea (PNG) shares the second largest island in the world. There are all sorts of empty reef setups and the good news is the Surf Association Abel Reserve spiral management scheme has uniquely created an approach to surfing as a sustainable tourism model that can be applied to other niche tourism sectors around the globe. This means the number of surfers to the area are restricted which is great for keeping the crowd factor low. Vanimo Surf Lodge has a good variety of surf spots within walking and then short driving range. Leave the crowds behind and come surf a fresh frontier. Ben Horvath (BH) caught up with Vanimo Surf Lodge owner Dave Ryan (DR) for a quick chat about the waves, weather and food you can expect when you visit. 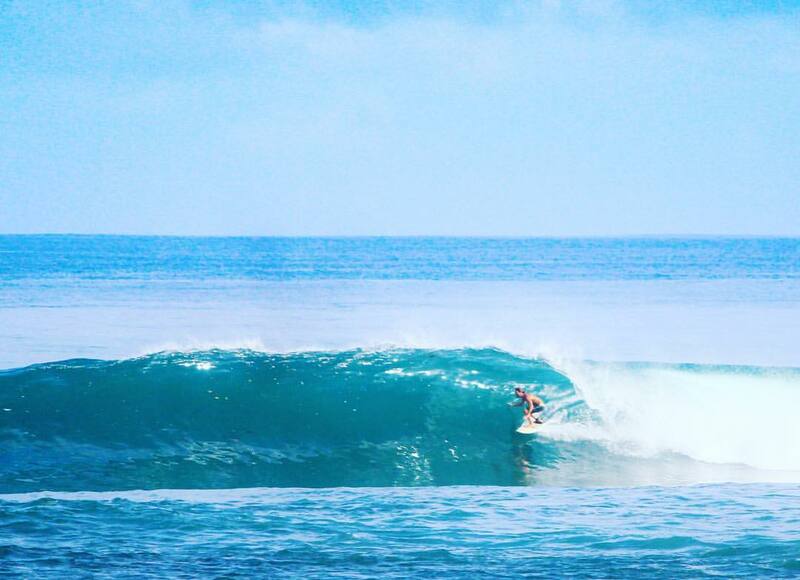 BH – Tell us about the waves that are within 5 mins’ access of Vanimo Surf Lodge? DR – The funnest right-hander is straight out the front of the lodge, and rides have been filmed and timed at 1.5 minutes from start to finish, which is a long ride in anyone’s books. The Lido Right has a beach start flat-water paddle out, no matter what size, with different sections to it, depending on the swell direction and size. It can be a freight train barrel take off for 50-60m, then back off for a roundhouse cutback before lining up again on the inside bowl sections, which keep forming ahead of you and allow backdoor barrels and plenty of speed to hack off the top, float or spin in the air. There is no coral, and the bottom is mainly sand and weed-covered limestone rock on the shelf that shapes the perfect right. The Lido Left is a short stroll through the adjoining village where you can say hi to the local crew on your way through the sea of smiling faces. The left is a 50m paddle out through flat water to the lineup, which features a left that peels for 50 to 300 m, depending on the swell size and direction. There is also a beach break that is rarely ridden as the waves on the Lido Right and Left are far superior, but the beach break is fun for beginners and body surfers alike. Anywhere you surf will be uncrowded as the whole surfing area covering approx. 20 kilometres is managed under a surf area management plan that guarantees uncrowded waves with a maximum 16 surfers, but averages 4-6 surfers across the numerous breaks. Most guests look for someone to surf with, which is a novel experience when you are normally escaping the crowds. BH – How do guests get to Vanimo? Talk us through access from Australia. DR – Access from Australia can be made relatively easy from all cities as flights from east coast cities like Melbourne, Sydney, Brisbane and Cairns all end up landing in Port Moresby and then a quick terminal transfer to the domestic terminal or an overnight stay in Port Moresby, with a dawn flight arriving in Vanimo around 8-9am. Flights from Cairns can same-day connect to Vanimo, arriving around lunch time. Travellers from Perth have flown to Denpasar, then connected to a flight to Jayapura, then travelled by taxi to the lodge which is an exciting way to travel, but frought with more of the unexpected. The lodge is located 10 mins drive from the airport, shopping centre, township and hospital and our lodge manager organises the airport transfers which are included. BH – Are there any hollow waves to surf? DR – The waves are hollow enough to disappear in on a 3ft day, and total full height stand-up barrels are on the cards when it gets around the 6ft mark on the Lido Right and Lido Left. The Yako Left is nicknamed “mini-Teahupo’o” as it really does resemble its Tahitian namesake, free-fall takeoffs, fins sliding and spitting barrels are the order of the day. There are at least 8 breaks in the area with the 2x most popular at the front door of the lodge. The others can be driven to either by car, taxi or boat hire. BH – What size waves can a visitor expect? DR – Waves range from 2-10ft with an average size range in the 3-5ft range most days. BH – Best months to visit? DR – There aren’t any real best months as the waves rarely get below 2ft and this past season saw some 8-10ft days in November and December. Other years we’ve had exceptional over-head days in January, February and March, so it depends when the biggest swells come from the North East Pacific OR North West Typhoon swells. Typically, the North East swells from north pacific and Hawaiian region generate the best swell. What food can guests expect to be eating? DR – All the food at the lodge is sourced locally from the fresh fruit and vegetable markets, fishermen and supermarkets. We prefer to use fresh seafood wherever possible like local Giant Trevally, Spanish Mackerel, Tuna etc. with the occasional catch of lobsters. We do cater for guests that do not eat meat protein. All meals are served buffet style and no one goes hungry. We’ve even had reviews from repeat guests who thought they were staying at a restaurant rather than a surf lodge. The menu changes constantly depending on availability of produce and provision of variety, the kitchen staff are always providing surprises! Breakfasts – tea, coffee, toast, fresh fruits, bacon, eggs, baked beans, jams. Morning or Afternoon Tea – fress-baked banana cake. Lunch – Fresh fish or chicken stir fry or spaghetti. 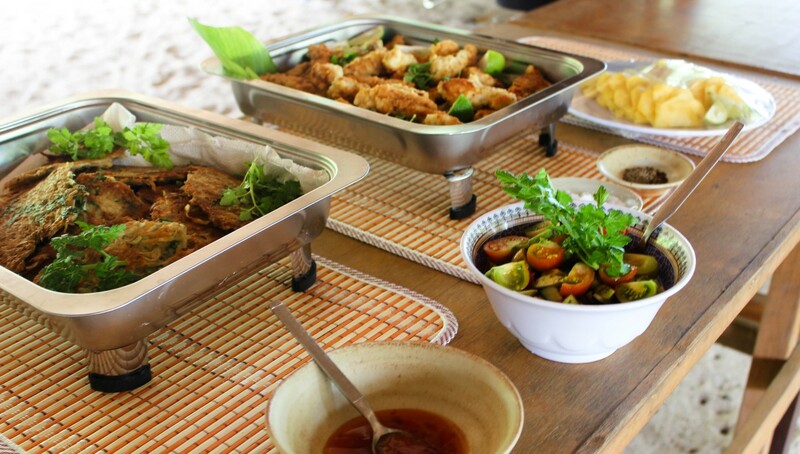 Dinner – Fresh fish or chicken stir fry or spaghetti, salads, curries etc. Thermos of hot water are always available to make yourself a cup of tea or coffee. There is a licensed bar for soft drinks, nibbles and beer. BH – Most suitable board or boards to bring? DR – Guests bring a whole range of boards from 5’6” to 10’. Basically whatever suits your style on the Lido Right and Left. When surfing the Yako Left, we suggest shorter boards (from bodyboards to 7’) as that wave is totally hollow from the free-fall takeoff racing like a freight train for 50-70m, depending on the swell direction. We also recommend reef booties, as the bottom is limestone rock and you can get a few abrasions. There is NO CORAL, so no infections from coral cuts. BH – How have the waves been this season? DR – This past season has been the most consistent above the 3-4ft range nearly every day, with some massive days around the 8-10ft mark. The offshore winds from the SW and SE have been excellent lasting all day most days. That said, if there is a small cross-shore wind on either the Lido Right or Lido Left, you simply walk a couple hundred metres to either, and the other will be offshore like a typical back-beach setup.